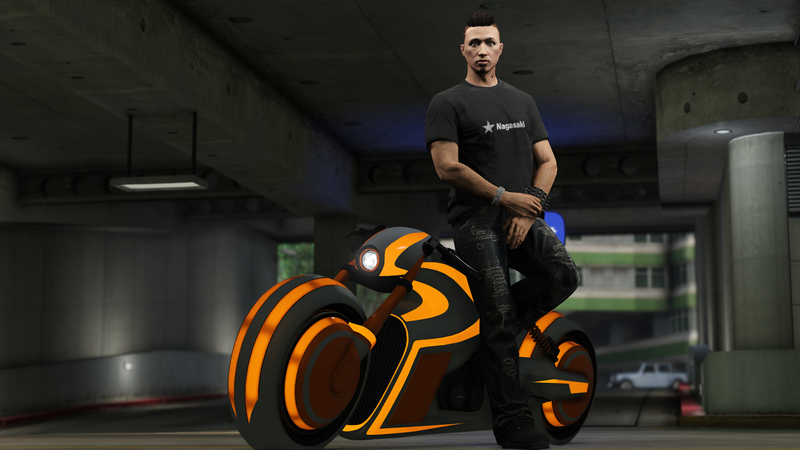 An update to GTA Online today added the Nagasaki Shotaro motorcycle and the Adversary Mode Deadline to the game. Light up the night with the blazingly fast Nagasaki Shotaro. Packed with enough energy to power the Los Santos grid and sporting the looks of an auto-show concept vehicle, the Shotaro delivers a driving experience that is out of this world. 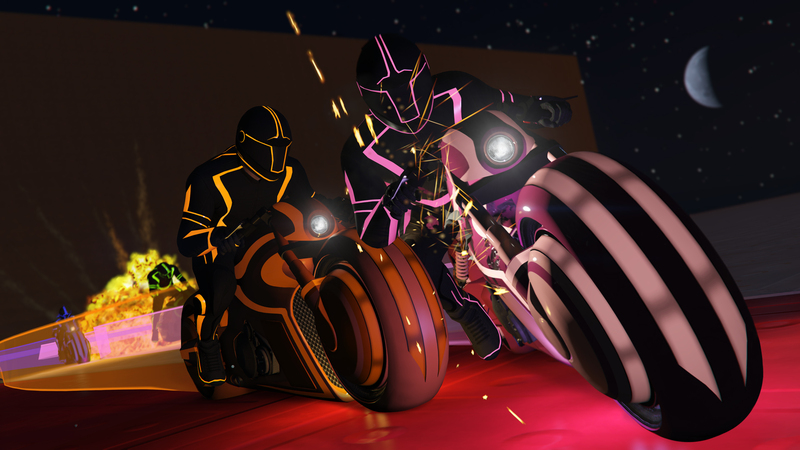 Experience the delights of the Shotaro first in the new Deadline Adversary Mode, which will unlock the bike for purchase at Legendary Motorsport, and the Deadline Outfit is also unlocked for purchase at any clothing store. And for a limited time, proud new Shotaro owners will get a free Nagasaki Logo Tee added to their wardrobe. Deadline pits up to four players against another, each mounted on a different colored Shotaro, which emits a temporary light trail as you ride through the arena. Any competitor unfortunate enough to come in contact with said trail meets an instant explosion. Make calculated movements to force opponents to cross your trail's path and take advantage of strategic power-ups for a competitive edge; use Boost to speed ahead and cut off your opponents, slow down time with Zoned for precision movement, or leap your opponent's light trail with Hop. 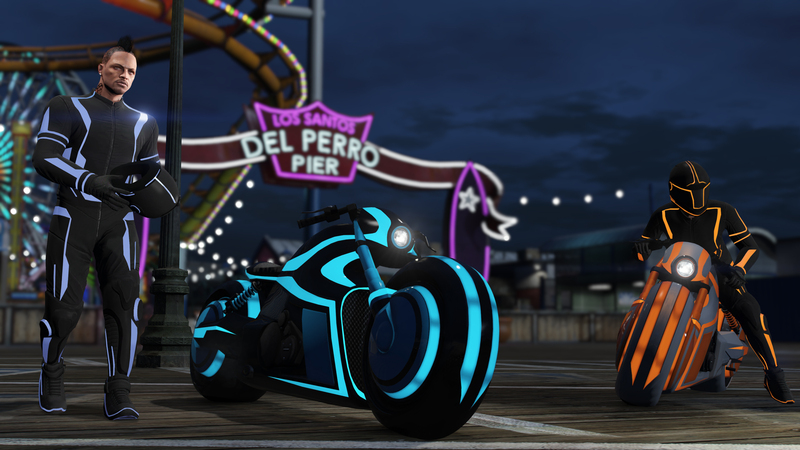 Step in the arena now and earn Double GTA$ and RP through November 21st. 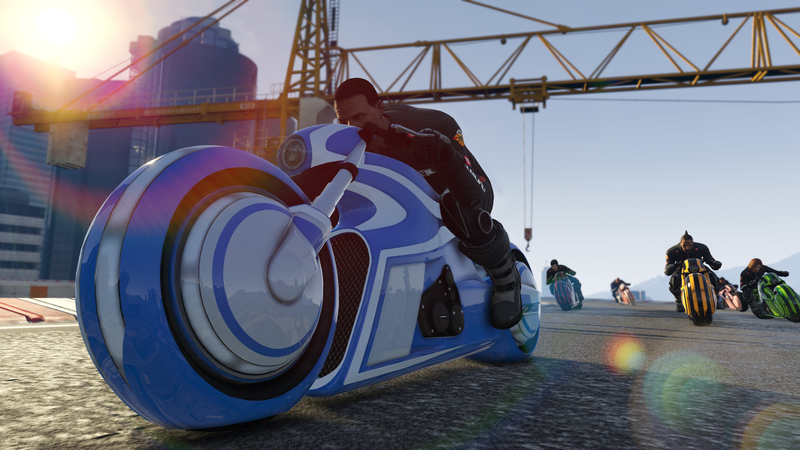 In addition to the Double GTA$ and RP in Deadline, get a boost to your Biker Business with 25% off Business supplies and resupplies plus an extra 50% GTA$ and Double RP from Biker Business Sales. Plus, take advantage of discounted weapons and tactical vehicles listed below from now through the 21st. Suit up and put that crotch rocket to work across the La Puerta Freeway and Los Santos' docklands in the "Over the Bridge" Stunt Race, locked to Bikes. As always, it's Triple RP to all whom participate with generous GTA$ prizes for the top three finishers.